In my last post I presented seven pieces of evidence proving that God’s love for us is unconditional. How, then, are we to account for those scriptures that say things like “God loves those who fear him” and “God loves those who keep his commands”? What about the scripture at the top of this post where God Himself declares that He is a jealous God who loves those who love Him but punishes those who don’t? Let’s not play with words – jealousy is a terrible thing. It is pouty, bitter, resentment that stems from an insecure and anxious heart and is revealed in threats that seek to shackle the object of its so-called love. Jealousy will make you possessive and controlling. Is this how God is? If you look at the characteristics of love listed in 1 Corinthians 13, you will see that jealousy is the exact opposite of Godly love. Jealousy is impatient, unkind and envious. It is self-seeking, easily angered and keeps a long record of wrongs. Is this how you picture God? 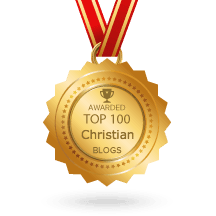 Jealousy or agape – which is it? Does God love us unconditionally or does He love us with a jealous love? Does He love us regardless of what we do or does He love us because of what we do? You cannot have it both ways. It’s one or the other. I hope it’s clear from my previous post and 1 Corinthians 13 that God is not a jealous God at all! He is not insecure, He is not anxious, and He does not use threats to make us love Him. In truth, He is patient and kind, He is not easily angered, He does not delight in evil and He keeps no record of wrongs. Indeed, He is the very definition and Personification of love (1 Jn 4:16). We would not know what love is except that He’s shown us His love. So what’s with these threats in Exodus and Deuteronomy? Was God playing with words when He told the Israelites that He was a jealous God? How are we to account for these contradictory images of His nature? As always, the answer is to interpret scripture through the finished work of the cross. If you fail to read your Bible through the lens of the cross, you’ll end up confused and believing all sorts of nonsense about the character of God. The cross basically divides the Bible into two covenants, the old and new. Under the old covenant (the 10 commandments), if you did good you got good, but if you did bad, you got bad. Everything – even the love of God – was conditional on your performance. But under the new covenant we are blessed with “every spiritual blessing” because of Jesus (Eph 1:3). Everything – forgiveness, righteousness, holiness, and health – is given to us by grace and is received by faith. The cross really did change everything, but – and this is the important bit – it did not change the nature of God. He is eternal and unchanging and He did not have a change of heart after the cross. He did not think, “Well that first covenant I came up with was a disaster, so I’d better try something new.” No, the new covenant was God’s plan from the very beginning. This is why the Bible refers to the new covenant as the “eternal covenant” (He 13:20) while describing the old covenant as temporary and now obsolete (2 Cor 3:11, He 8:13). The old covenant was not a practice run while God was still figuring things out. It was a temporary arrangement whereby He deliberately restrained His heart of loving-kindness toward the Israelites so that they might become aware of the magnitude of their sin and their dire need for a Savior (Rm 3:20, Gal 3:24). When Jesus came He fulfilled the requirements of the old covenant law on our behalf and offered Himself as the one-time sacrifice for the sins of the whole world. For the Israelites who lived under the old covenant, the cross was something to look forward to. But for us who live under the new, the cross is 2000 years in our past. When you read scriptures that seem to say, on the one hand, that God is jealous and controlling, but on the other, that He loves us with an everlasting love and died for us while we were yet sinners, you have to ask yourself, which covenant is this describing? The jealousy statement at the top of this post comes right smack in the middle of the 10 commandments so there should be no doubt that it belongs to the old covenant. This statement does not describe the true nature of God at all. Rather than frame our understanding of God’s character through an old covenant scripture that says God is jealous, we need to interpret scripture through our understanding of God’s heart as revealed first in Jesus and then in the new and eternal covenant under which we live. Do that and you will get a consistent picture of your heavenly Father who loves you unconditionally. Do you know how many times God is described as jealous in the new covenant? Not once. Like the prodigal’s father, your heavenly Father loves you regardless of your behavior. Indeed, He loves you more than He loves His own life. How do we know? Look to the cross! If you’ve been told that God is a jealous God, you will always wonder whether you’ve done enough to merit His affection. You will hesitate to love your spouse and kids for fear of making Him envious. If you think God is anxious and insecure, it’ll make you anxious and insecure and before you know it you will be a jealous lover too. But God is not jealous and He is not schizophrenic. He set His love on you before you were born and He draws you even now with His loving-kindness. 25 Comments on Is God a Jealous God? Do you see the difference? Godly zeal makes sense, but godly jealousy is an oxymoron. If someone tries to seduce your wife, a proper response is not “righteous jealousy” (there’s no such thing), but righteous anger or godly zeal! I love this. When Jesus died and rose again the law was broken. Now we live by Grace. That’s how I see it. It fits God’s character. One meaning is that of protection. We used the sign for protect when we did sign language for the song that goes “He is jealous for me….loves like a hurricane….” He is for us! Meaningful and beautiful. Thanks Paul. Perhaps God saying he is a “jealous God” is what at first seems to be negative but in reality may be consistent with His love or a natural outcome of His love. I think we only think of jealousness negatively in our contemporary mind set… as it being the same as petty envy. God’s love for us is also described in marital terms in Scripture If a husband deeply loves his wife and she seeks the affection of another man and the husband does not have a strong emotional reaction, like being jealous, then his true love for her may be in question. Dennis, if my wife sought the affection of another man, I would be jealous of him. I would envy the hold he had on her heart. This is natural. But God goes much further than this in Ex 20 and Deu 6. He threatens Israel even though they haven’t run after other loves. In fact, the very last thing Israel has said is, “We will do everything the Lord says” (Ex 19:8). This is like you on your wedding day, right after your wife has made her vows to you, responding with a threat like this: “Do not follow other men, for I your husband, who is watching, am a jealous husband and my anger will burn against you, and I will destroy you from the face of the land.” If you said that you’d get arrested and rightly so. So how come it’s wrong for us but okay for God? I am wondering why did God institute the law then if it causes so many problems and misunderstanding about who he is and how we are to relate to him? I have really only discovered God’s grace as it really is in the last 2 years and has absolutely changed my life. I am finding it hard to understand why the law was necessary… can anyone give me some insight here? Fiona…Also read Joseph Prince Destined to reign where this is clearly explained, It was not Gods first plan to give the Israelites the law, The Israelites demanded for the law and God gives it to them. Paul, His in the second paragraph should be this. God is a jealous God. Once you’ve made a covenant with Him, He wants to be the object of your love, affection and devotion. We benefit from His grace. The Lord said remember the Sabbath day to keep it holy. Many christians say “forget that day” (Saturday) and man by his tradition(Sunday) wants to worship on a day not set apart(sanctified for worship.) That makes God jealous because man will take 9 of the 10 commandments but will not keep the sabbath day holy. Jesus says” If you love me keep my commandments” saith the Lord! Please remember this day, I am a jealous God! I want you to do as Jesus did. Remember Genesis 2:3 “and God blessed the seventh day, and sanctified it……. This is not the jewish sabbath. Jesus said the sabbath was made for man, not man for the sabbath Mark 3:27 Exactly, it was man for Adam and Eve and all the rest of humanity(mankind). Thousands of years before the jewish nation was established he made this day for you and me. God gets jealous when we say what difference does it make as long as I worship on any day? Let me ask you readers this question. Would it matter if your family celebrates your birthday on a day was that was not set apart for you birthday year in and year out? How would you feel if your loved ones celebrated everyone else’s birthday but not your on the right day randomly changing your DOB for the rest of your life? How would you feel about a loved one telling you that after you die and even on your tombstone we will put any day for your DOB regardless of when you were born? For most people it would matter, wouldn’t you agree? God gets jealous of how we embrace or reject, alter, change, modify a day that he never blessed or sanctified (Sunday) Don’t ever changed the day or God’s law without the authority of scripture behind it. That’s very dangerous! Be very careful! We worship a jealous God. but we never actually made the covenant w/ God… Jesus made the covenant w/ the Father FOR us. b/c we are IN Christ, we are under the covenant -it has absolutely nothing to do w/ our keeping the sabbath day holy or keeping any of the other laws. even in the OT, Abraham did not take part in the Abrahamic covenant w/ God – he fell asleep and God made the covenant w/ Himself- in the likeness of the smoking fire pot and the flaming torch (genesis 15) and Abraham never had a command from God to keep the sabbath day holy either. man could never keep his end of the deal – that is why Jesus came to keep it for us! 1) “Many Christians say ‘forget that day’ (Saturday) and man by his tradition (Sunday) wants to worship on a day not set apart (sanctified for worship)”. Remember the sabbath day, to keep it holy (read Paul Ellis post on “Why Was the Seventh Day Holy?”)is included in the 10 commandments or law (Ex 20:1~17). In Deut 28:1~14, God said He will bless those who observe and do all His commandments but curses those who will not observe and do them (Deut 28: 15~68). Observing and obeying the law is not only about sabbath-keeping. If one chooses to be under the law, he must make sure that he obeys the whole 10 commandments all the time (Jas 2:10)so that God will bless him otherwise, missing even just one God has to curse him. Finding fault with the first (old) covenant, the Lord made a new covenant with the house of Israel (Heb 8:6~13), putting the laws in their mind, writing them in their hearts (not on tablets of stones), being a God to them, and their iniquities He will remember no more. Precisely, in v28 Jesus said, ‘The Son of man is Lord also of the sabbath’. Sabbath is subject to man, as if saying that the donkey is made for man and not man for the donkey; the donkey is created for man’s benefit and not the other way around. Sabbath (rest) was made to benefit of man. .Hi,” saved by grace” and ‘Brad’. I’m. consolidating my reply with regard to the topic of the Sabbath day and the Sabbath Rest. As you know, the O.T was a shadow of things to come and the N.T. was the fulfillment or substance of that shadow. Therefore, a lot of things were symbolic or typical of what was to happen in the NT. The Jewish Sabbath was on a Saturday(seventh day) and was the END of the week,-.not the beginning. ‘, because Jesus rose on that day and so did we, along with Him. After Jesus finished creating the world , He RESTED. After Jesus finished His work on the Cross, he ascended to heaven, He SAT DOWN and RESTED FOREVER. Therefore the Sabbath Rest has nothing to do with any particular day of the week. In the OT the Jews HAD to keep the Sabbath otherwise they would be punished, even to death. It is also the longest of the 10 commandments, both indicate how important God considered keeping this law. Your comment arrives at a good time, as I happen to be doing a study on those scriptures. I have now written a post on James 4:5, which you may want to check out. But let me comment on the marriage metaphor, since I am married and adultery is a “threat” that I – and all married people – must live with. To be honest, I barely think about it. I don’t stew at night over my wife’s faithfulness and she doesn’t stew over mine. However, if I wasn’t secure in her fidelity, then the worst possible thing to do would be for me to start making threats. If you’re in a happy marriage, I’m sure you know exactly what I mean. Under the old law-keeping covenant God made threats of the kind “if you forsake me, I will forsake you.” The purpose of these threats was to reveal the utter uselessness of our ability to please God and drive us to Jesus (Gal 3:24). Our unfaithfulness in the old covenant is a problem that is solved by the new. God has taken us out of the equation for the new covenant is made between him and Jesus and even when we are unfaithful, he remains faithful for he cannot disown himself (2 Tim 2:13). So for God to be making any sort of threats or expressing insecurities would be (a) contrary to his nature, which is to love unconditionally and (b) 2000 years late. Anyway, check out that post because it’s going to bless the socks of you! I will be more blunt than many of the people here, Mr. Ellis. You are butchering Scripture and twisting and distorting Scripture in order to make it more palatable to modern sissified dumbed down watered down Christians. The fact is the fact: God is a jealous God and rightfully so, and God also has unconditional love to all of those who will place their trust in Him and His only eternal Son, God the Son in the flesh Jesus Christ. The posters who stated that God’s jealously is like a husband being lovingly concerned for his wife is right on. Thank you to all the men and women who stated this. If a person rejects the unconditional love of Jesus Christ they burn in eternal concious torment in the Lake of Fire, forever. This is not a failure or deficiency on God’s part, it is the failure of fallen humans to accept His unconditional love. Please, Paul, don’t change God’s clear words as He has laid out in the King James Authorized Version, 1611, His preserved words. Honor Him. Thank you. 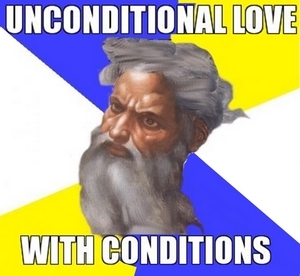 It would be great if you could explain this unconditional love of God that you speak of. Would you be jealous if your wife commits adultery or someone steals your work? God is not envious of that which is His, for you cannot be envious of that which is yours. If you expect God not to be jealous, simply tell your wife you won’t be jealous no matter how many men she sleeps with. The early christian solution to female adultery was separation, no Christian man could or would sleep with his wife after she slept with another. Adultery is the same as apostasy. If I were you I would carefully read what you have just written you answer your own question and will probably not like the answer. God is jealous. Jealousy is not anything like what you have expounded through here. It is good that through exploration you have found the transliteration of zealously and jealousy. I would challenge everyone to pray about this. I strongly believe that our culture misidentifies jealousy and envy (covetousness) as synonyms. Jealousy is righteous indignation for those things that should rightfully be yours (your wife’s love). Envy is an immature wantonness for something that isn’t yours (another man’s wife). But wouldn’t you agree that there is a different between the zeal that leads to “the increase of his government of peace” (a prophetic foreshadowing of a new covenant reality from Isaiah), and Moses making an old covenant threat about jealous destruction and burning anger?